“Twilight At The Towers” - Ballard was the perfect spy. A man with all the cunning of an animal. Or was it vice-versa? “The Last Illusion” - (A Harry D'Amour novella) - New York had shown Harry horrors enough for a dozen lifetimes. He thought he'd seen the worst that flesh could suffer. Then the beautiful widow walked into his life, with a husband who wouldn't lie down dead, and all Hell on her hells. And suddenly Harry was face to face with forces that could teach Manhattan a lesson in depravity. 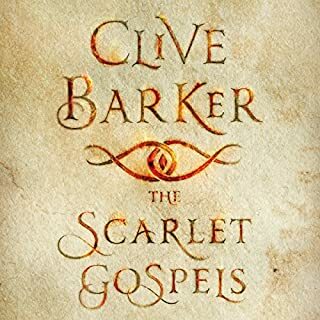 “A visionary, fantasist, poet and painter, Clive Barker has expanded the reaches of human imagination as a novelist, director, screenwriter and dramatist. 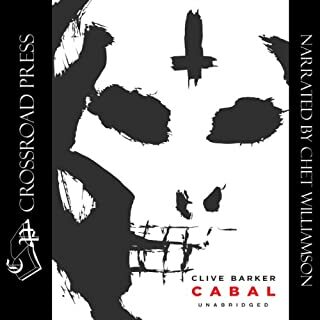 An inveterate seeker who traverses myriad styles with ease, Barker has left his indelible artistic mark on a range of projects that reflect his creative grasp of contemporary media-from familiar literary terrain to the progressive vision of his Seraphim production company. His 1998 Gods and Monsters, which he executive produced, garnered three Academy Award nominations and an Oscar for Best Adapted Screenplay. The following year, Barker joined the ranks of such illustrious authors as Gabriel Garcia Marquez, Annie Dillard and Aldous Huxley when his collection of literary works was inducted into the Perennial line at HarperCollins, who then published The Essential Clive Barker, a 700-page anthology with an introduction by Armistead Maupin. Would you listen to The Books of Blood: Volume 6 again? Why? Absolutely! The stories were fantastic! The narration was excellent. Wow! Where to begin? The reveal in "The Life of Death" was amazing! The twist in "The Last Illusion" was brilliantly executed! The range of emotions and characters was so distinct! The reveal in "The Life of Death". I would definitely listen again! This is a good end of the "Books of blood" series. Not perfect, bet better then 3,4 and 5. Narration is as always well done. Nothing to complain about. 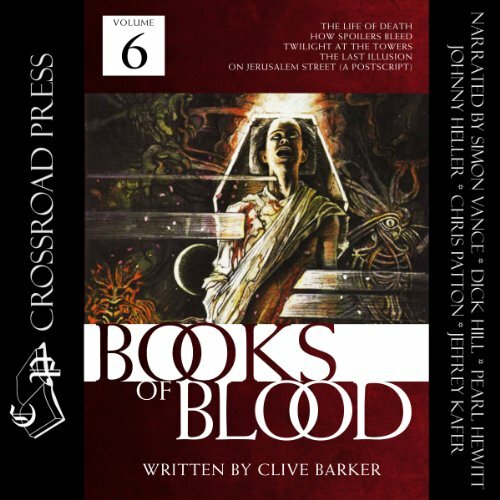 What did you like most about The Books of Blood: Volume 6? 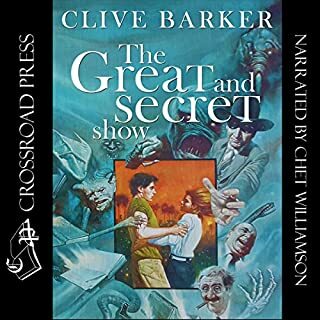 The prose and imagination of Clive Barker. All the narrators are good, except for the reader of the Last Illusion; though he does not spoil it. And Pearl Hewitt is particularly good. 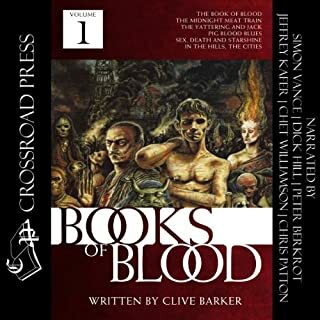 The final volume of the Books of Blood, this continues the excellent writing of the proceeding five volumes. 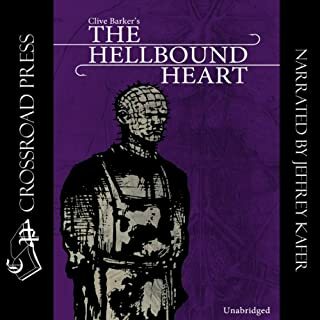 You can see how Clive Barker has evolved since the first volume, how the stories have become grander. 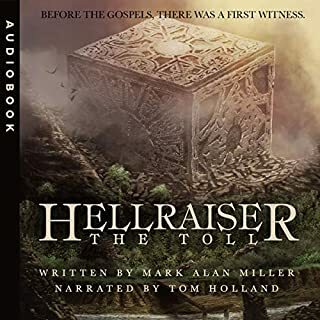 The first story here, the Life of Death, is wonderfully bleak, Twilight at the Towers gives a new take on a classic monster trope, the Last Illusion introduces us to Harry D'Armour, Barker's paranormal PI who crops up in future novels, and the final story, On Jerusalem Street (A Postscript), is a neat epilogue to the whole series. Loved it, though a bit upset there is not a volume seven. Probably the least interesting book in the series. I only stick with it because i wanted to finish the series.